The Austrian Federal Ministries were commissioned with the coherent implementation of the SDGs in their respective field of competence. Concerning business engagement with respect to the SDGs, the Federal Ministry for Digital and Economic Affairs (BMDW) focuses in the Austrian foreign trade policy on the private sector and launched the initiative “SDG Business Forum – Österreichs Wirtschaft und die globalen Ziele für nachhaltige Entwicklung” (Austria’s economy and the Global Goals for Sustainable Development). 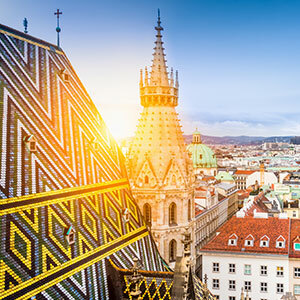 This initiative aims to help Austrian companies enter new markets in emerging as well as developing countries, grow their prosperity-promoting activities and establish a supportive, standardized framework in Austria. Create the enabling environment for a strengthened engagement framework. The Austrian foreign trade policy intends to act as a catalyst for private sector SDG activities and contributions. The “SDG Business Forum” aims to promote the implementation of the 2030 Agenda, based on the strengths of the Austrian economy. At the same time, the BMDW argues that success of the 2030 Agenda depends on the actions of emerging and developing countries. The Austrian government announced to submit its first Voluntary National Review on the country’s efforts to achieve the 2030 Agenda at the HLPF in 2020. In a 2017 report on the governmental activities in relation to the 2030 Agenda, the Austrian Court of Auditors strongly criticized that there was no superordinate strategy, merely an inventory of different, incoherent activities of individual ministries. It was also highlighted that a systematic coordination with the federal states, municipalities and civil society was missing. The SDGs are increasingly addressed by the Austrian private sector. Our 2018 member survey among about 300 respACT members showed that 79% are familiar with the SDGs and another 15% are aware of the goals. 64% of the member companies of respACT already work with the SDGs and 18% are planning on working with the SDGs in the near future. While this clearly reflects a positive trend, we recognize that the SDGs, targets and indicators are not always integrated into the business strategy, but rather assigned or supplement to existing sustainability efforts. Nevertheless, best practice examples where corporate strategy is aligned with the SDGs can be found among Austrian companies. Especially large enterprises recognize the potential that the SDGs represent for business. A CEO Roundtable on the SDGs identified three key features for successful SDG integration: a visionary CEO, top down commitment and a clear understanding of where the SDGs fit into the strategy. The respACT member survey illustrated the main interest of Austrian companies in activities concerning SDGs 9 (Industry, Innovation, and Infrastructure), 12 (Responsible Consumption and Production) and 13 (Climate Action). This emphasis is reflected in the selected focus SDGs of the “SDG-strategy” (see below). For respACT the SDGs serve as an operational framework that illustrates our comprehensive understanding of sustainable development. Our entire work program is aligned with ambitions set out in the SDGs. We also run focus projects or events, organize working groups or webinars on individual SDGs. We are one of the supporting organizations of the TRIGOS Award, a renowned business award honoring Austrian Companies for exemplary CSR initiatives and implementation across their management. As part of our efforts, we managed to enforce an SDG assessment for the award candidates since 2018. On our website, the news as well as the tools section can be filtered by the category “SDG”, in order to find all relevant information. Furthermore, one of the focus topics of the website is dedicated to the SDGs. In this section, basic information, tools, reports and best practice examples are provided. We partner with national and international experts from the private sector as well as academia, on the latest SDG-related developments in order to encourage the dialog on the topic and impart the knowledge within the Austrian business community. To share the newest insight and findings on the SDGs, we closely cooperate with national and international partners such as CSR-Europe, Global Compact Network Austria and WBCSD. The project intends to raise awareness on the SDGs, provide guidance on how to engage and develop tools for practical implementation. We also supported the translation of the “SDG Compass” (developed by GRI, UNGC, WBCSD) into German.